Bentley's totally new Bentayga, their first ever SUV. A 600 horsepower super family vehicle wrapped in beautiful leather and deep beautiful paint. Keep it safe by wrapping it in 3M Pro Series paint protection film. 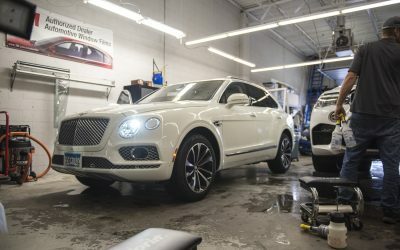 This level of luxury deserves the best kind of paint and UV protection. 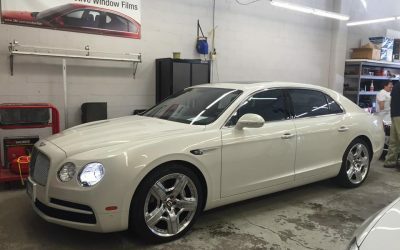 Thankfully this brand new Bentley Continental Flying Spur has the full front 3M clear shield installed and window tint.